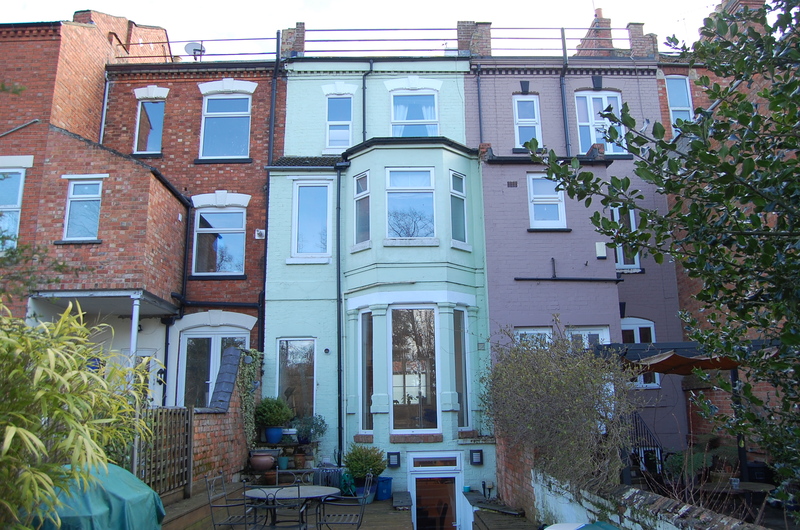 So we’ve decided to show you an example of a period townhouse which does just that. 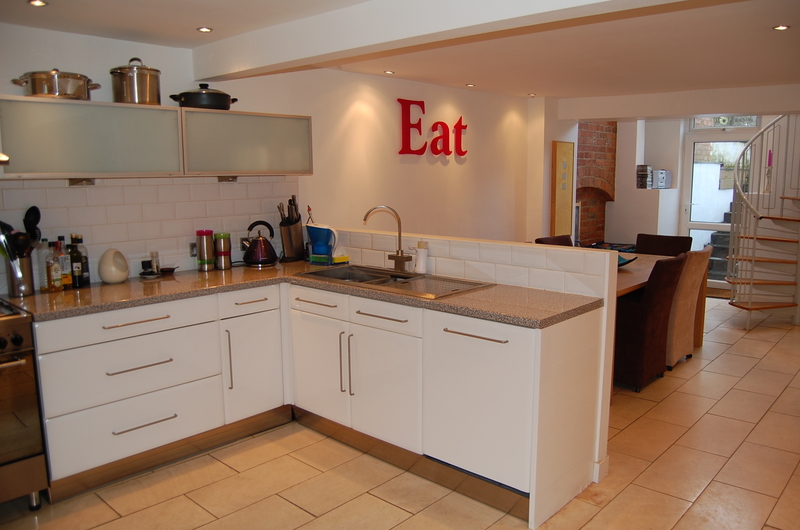 This property backs on to the ‘Racecourse’ in Northampton and is available to purchase, should you so desire. If not, have a nosey anyway! 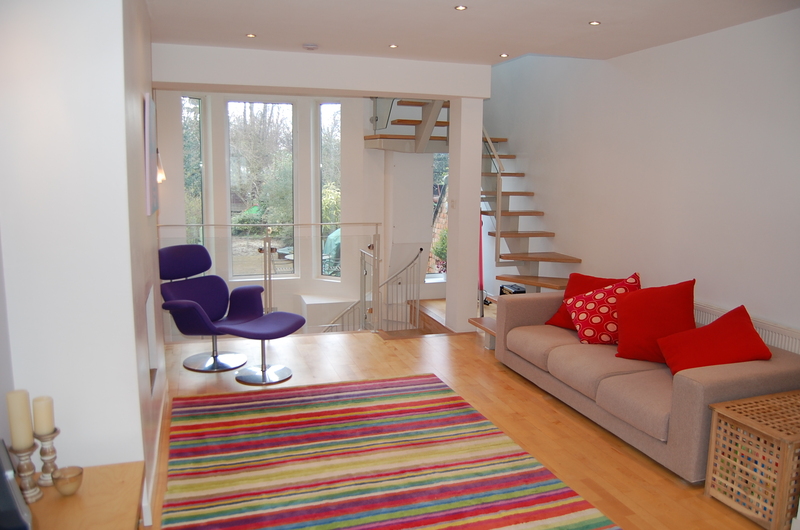 Galleried Sitting room with spiral staircase descending to the Kitchen/Dining room, exposed brickwork and bay window overlooking the rear garden. 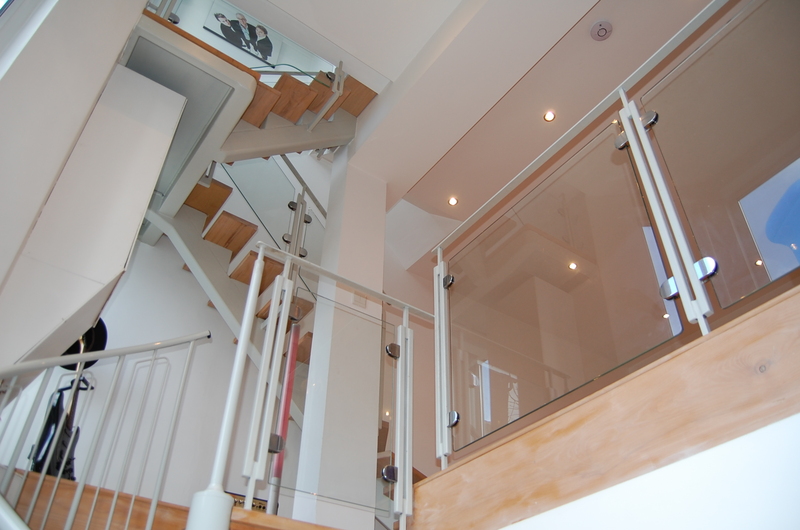 Solid Oak floating open tread staircase and galleried landing. 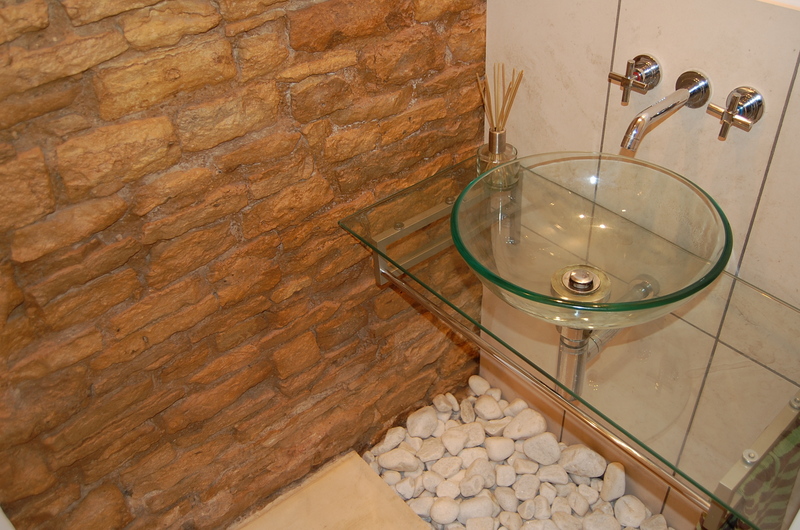 The contemporary glass wash hand basin and shelf work perfectly next to the stonework. White high gloss base units complement the tinted glass wall cabinets in this fantastic open plan space. 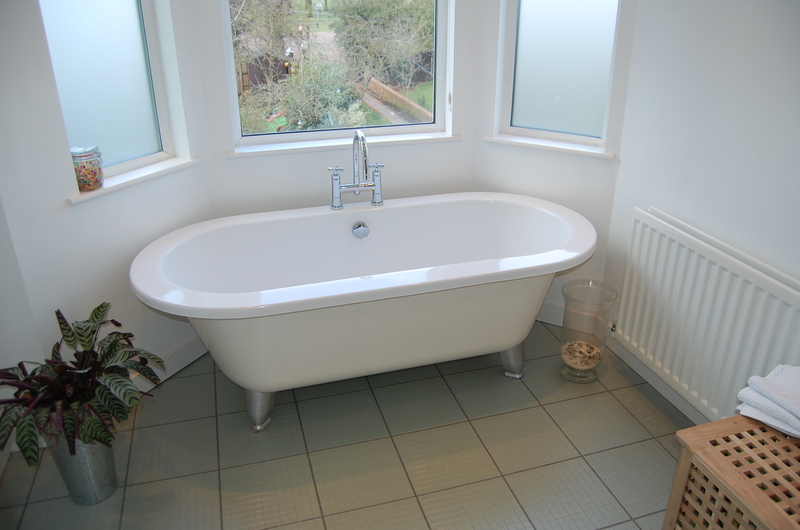 The simple beauty of a roll top bath and bay window. 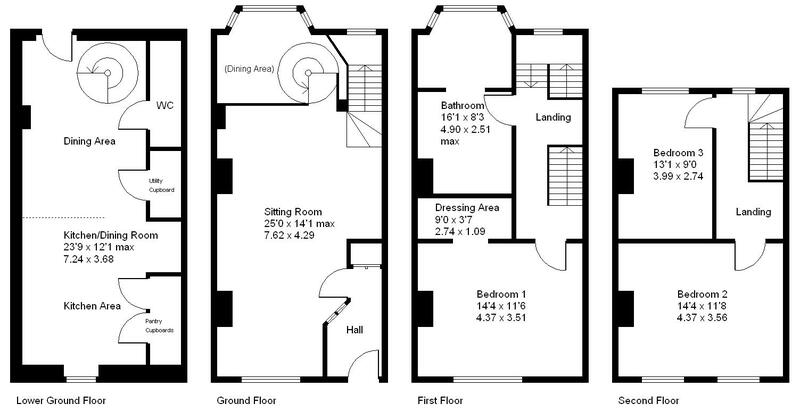 The four storey, double bayed accommodation overlooks the garden and Northampton ‘Racecourse’ beyond.